What can satisfy a hungry tummy other than a delicious food? 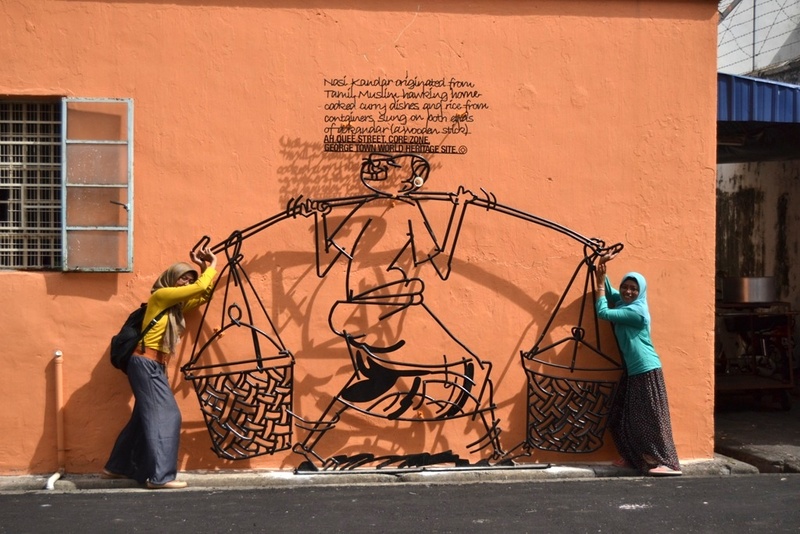 And Penang has the answer! 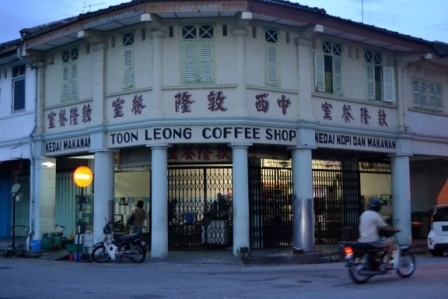 Then, Pakcik Shahrom-the CAT bus driver also suggested me to try the Penang food. He told me some popular restaurant or kedai but I couldn’t remember them. Hehe. 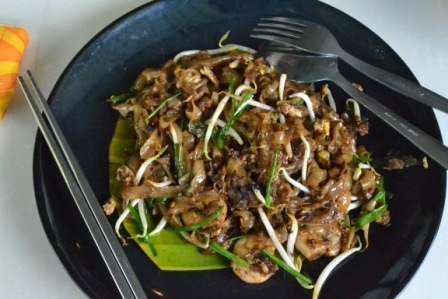 The three main races live in Penang are the Malay, Indian, and Chinese, that’s why Penang food are very influenced by these three cuisine. 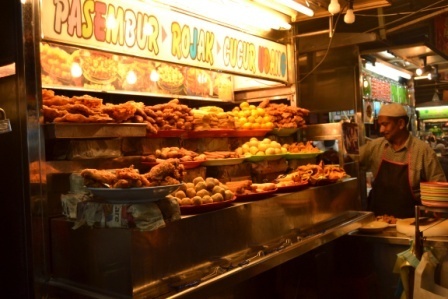 Although Penang has variety of food, it was neither easy nor difficult to get halal food for moslems because some foods contain pork or pork derived ingridients, so better ask before you order.For moslems it is more safe to get Indian or Malay food than Chinese food because both of these cuisine usually don’t use pork. But if you eat pork you have no limitation to taste any food 🙂 If you intend to taste a variation of pork on your plate-like my travelmates, Cay n Fani did, you can easily feed your appetite in Chinese restaurant. 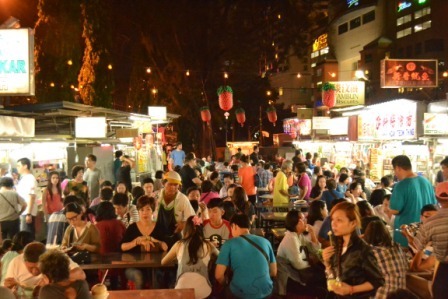 There are some popular hawker center in Penang like Gurney Drive, Padang Kota Lama Food Court, Padang Brown Hawker Centre, Sri Weld Food Court, and many popular and recommended restaurant and food stall around the town. 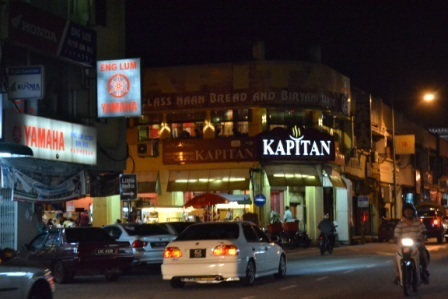 Don’t worry you’ll get starving since many of them open 24 hour, and the price is cheaper than in KL. 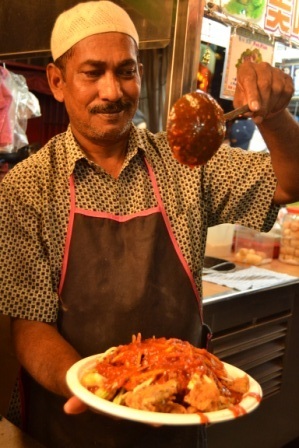 Pasembur or rojak mamak is a Malaysian Indian cuisine, consists of some various dumplings such as fried prawn, tofu (beancurd), fried octopus, potato, fresh turnip,etc and served with sweet-sour-spicy sauce. It is quite similar with siomay or batagor in Indonesia, but the variety of the pasembur dumplings are more various. For this full plate of dumplings cost us MYR 10. 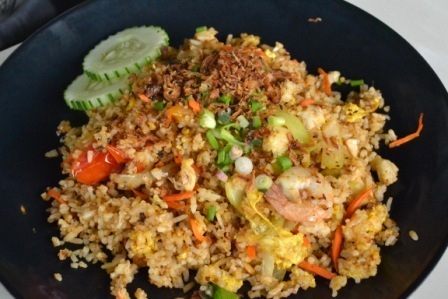 Nasi briyani or Briyani rice is my number 1 favorite cuisine of Penang. I tried this briyani rice in Kapitan Restaurant, Little India area, and it was soooo delicious. For the first time I ate Nasi Briyani with mutton, then I got addicted so the next day I tried Briyani rice with Lamb kurma, and I really like it. The rice was so spicy, and the meat was also soft, easy to bite, and sooo nice. 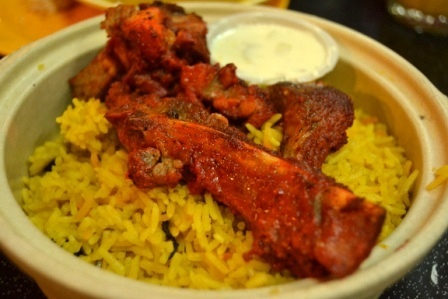 Nasi Briyani with Mutton – sooooo yummy!! Briyani rice is an Indian maincourse made from Bashmati rice with so many spices (these spices really work very well to make its wonderful taste) accompanied with beef, chicken, lamb. 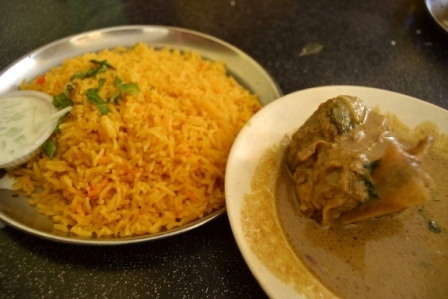 Briyani rice is often served in a big portion, enough for two normal portion. I and Gina always shared our plate of briyani rice. 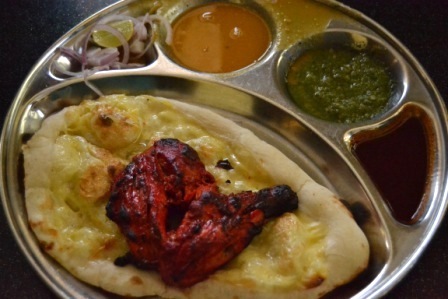 There are various Indian menu in this restaurant like chicken tandoori, cane, and naan. Most of them are served with curry sauce. If you come to an Indian restaurant and find ‘lassi’ on the menu, I reccomend you to try this refreshing drink. 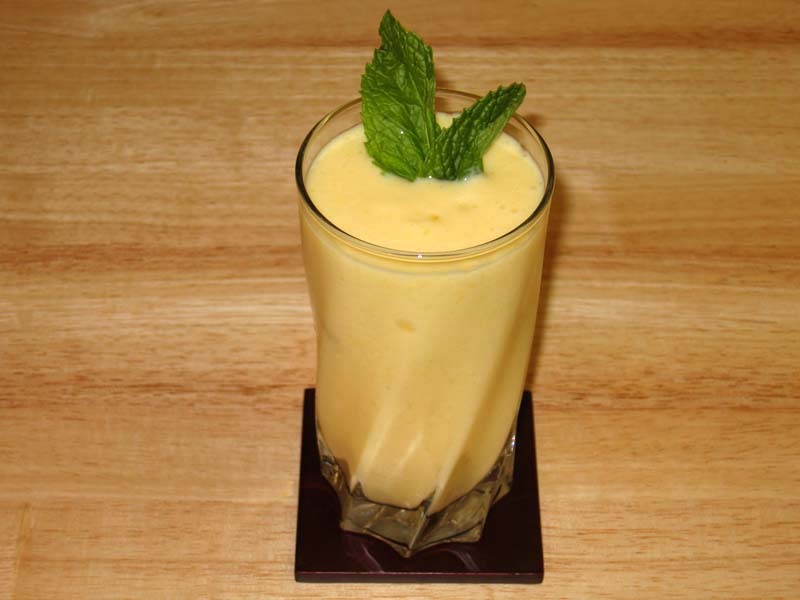 Lassi is made of yoghurt and fruit blended together, usually served chilled as a refreshment. It is really refreshing after having a heavy meal like lamb curry. 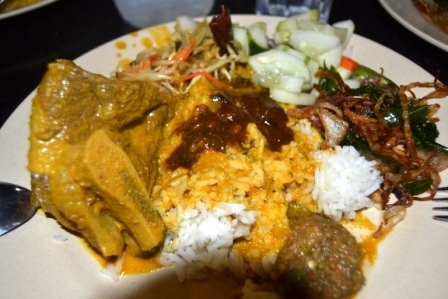 Nasi Kandar or kandar rice is synonimous to Penang as this meal originates from. It is a moslem-indian set of meal consist of rice and various dishes like vegetables, curry, meat, etc. Nasi kandar is quite similar to Nasi Padang in Indonesia where you can choose the set based on your preference. ‘Kandar’ means a wooden stick used to sling the container of rice and dishes used very long time ago. Mee sotong is the first meal I had in Penang, it’s like usual mee goreng (fried noodle) with more sotong (squids) in a wet, spicy, sweet sauce. But I didn’t really enjoy this meal because it’s too sweet for me. This mee sotong only cost me 4 MYR. 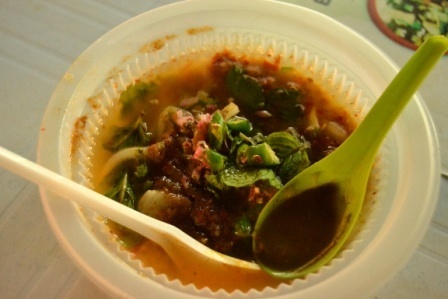 Penang is hot during the day, and a bowl of chiiled dessert will surely comfort us after walking around the old town. 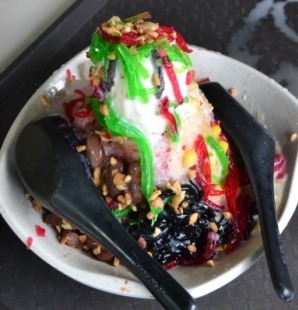 Two recommended choices are ais kacang (redbean ice) and ais cendol. Ais kacang is made from shaved ice, jellies, sweetened redbean, sweetcorn, a scoop of ice cream – drenched in palm sugar syrup. Between these menu in Penang, I would prefer Ais kacang for its sticky texture and sweet redbean and jellies. 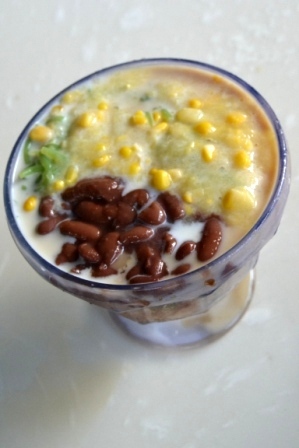 Ais cendol is also available in Indonesia, so I’m not amazed with it. Cendol is the name of the green, noodle-like condiment made from rice flour. Rojak or rujak in Bahasa Indonesia, is a fruit salad (unripe mango, pineapple, guava,cucumber, pomelo,papaya,etc) mixed with sweet and spicy peanut sauce. 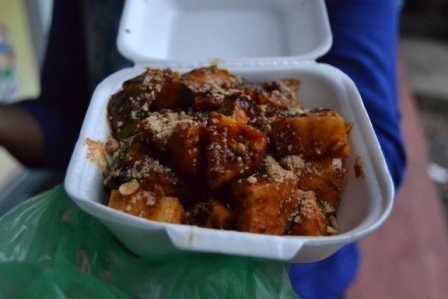 I tried Penang rojak when we were lost in Batu Ferringhi. We were hungry and need something refreshing so we stopped in a little rojak stall. In Indonesia especially is Java, rujak is a common dessert served during the day. The combination of sweet, spicy, sour taste of the fruit and the sauce is adored by pregnant woman. In Java, the seller will make the peanut sauce by pounding all the ingredients in an “ulekan” (kitchen tool used to smash and pound spices made from stone, sometimes from wood) and mix the fruits within the sauce. 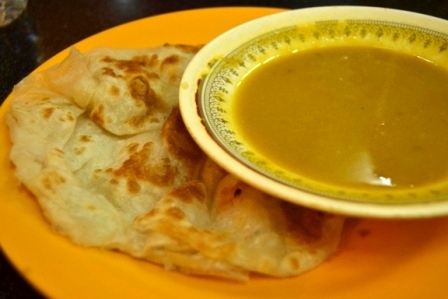 In Penang, they use a ready peanut sauce. For me, the Javanese rujak is more spicy than Penang rojak. Assam laksa is a kind of sour and spicy noodle soup, considered to be a Peranakan cuisine which means a merger of Malay and Chinese cuisine. Assam is Malay word for sour. A bowl of assam laksa contain fish, noodle, lettuce, and some other vegetables served with sour soup. This meal also didn’t match my tongue very well, maybe for its strange sourness or something. 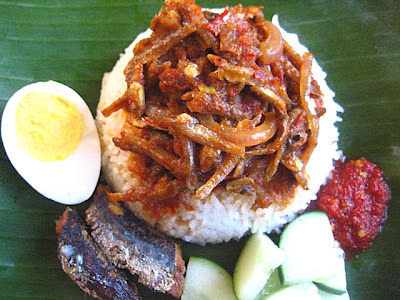 Nasi Lemak is a usual rice cooked with coconut milk and pandan leaves so produce a savory and fragrant smell, usually served with fried ikan bilis (small fish), fried chicken, and sambal (hot spicy sauce). Some are wrapped in banana leaves, but some are served in a plate. Among all the Penang food I tried, I choose Briyani rice and Orange Lassi to be my number one favorite! 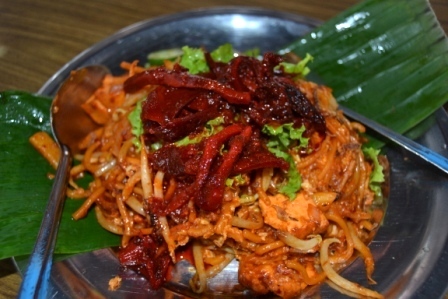 The other food are quite similar with the ones in Indonesia, so I would prefer this Indian cuisine than any other. Bon Appetite!